The striped mosquito (Aedes notoscriptus) has white bands on its legs. It was first collected in Auckland in 1916, and probably arrived from Australia. This silent mosquito is the one most often seen in the North Island. It can bite day or night. 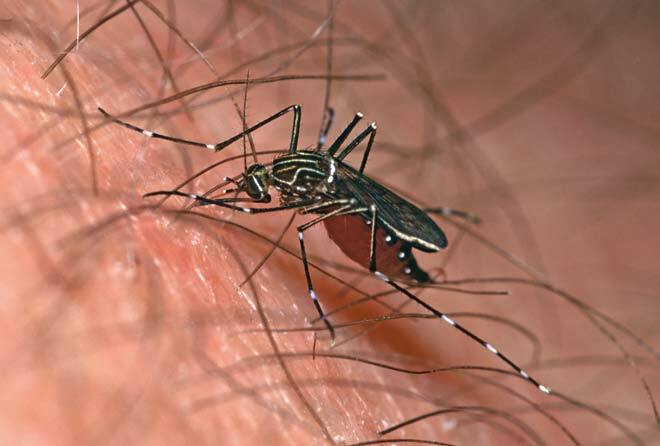 The whining buzz heard at night is made by the native vigilant mosquito (Culex pervigilans), which rarely bites humans.